John D. Furber is the CEO and founder of Legendary Pharmaceuticals. He is a scientist and entrepreneur who has been studying the biology of aging, development, and regeneration for more than 25 years. 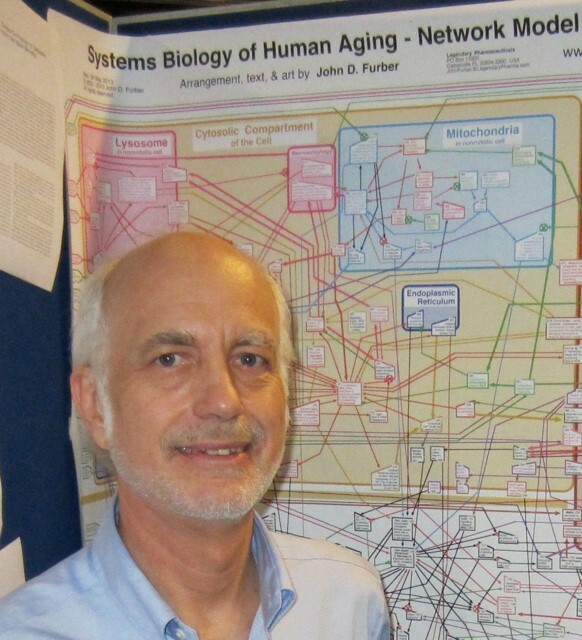 During this time, he has been piecing together a Network Model of the Systems Biology of Human Aging. He is a frequent contributor at meetings in the fields of aging, mitochondria, autophagy, and oxidative stress. These include: Gordon Research Conferences, Cold Spring Harbor Conferences, Ellison Colloquia, Harvard/Glenn Symposia, American Aging Association, Gerontological Society of America, SENS Conferences, Oxygen Club of California World Congresses, and the Bay Area Aging Meetings. From 2000-2011, he served on the Board of Directors of the American Aging Association. He earned a Bachelor of Arts degree in Physics and Mathematics from the University of California at Santa Cruz in 1975, and a Master of Science degree in Biological Sciences (Developmental and Molecular Biology) from the University of California at Irvine in 1990. Between degrees, he served the United States Congress as a Technology Policy Analyst in the Congressional Office of Technology Assessment. Mr. Furber was a principal in starting five companies during the 1980s and 90s. Currently, he is running a small pharmaceutical research company, Legendary Pharmaceuticals, which is engaged in the discovery of pharmaceutical drugs and gene therapies able to repair and reverse accumulating molecular damage to subcellular mitochondria, lysosomes, nuclei, and extracellular proteins in order to prevent and treat serious, late-onset diseases commonly associated with aging. Legendary Pharmaceuticals is a privately-held small business. Currently, at Legendary Pharmaceuticals, he is engaged in pharmacological research involving therapeutic target identification, screening and optimizing candidate therapies, organic synthesis, purification, and testing, as well as ensuring regulatory compliance.